In my last post, I shared a question that Mike, a frequent college blog visitor, asked. Mike’s daughter is struggling with this college application question: Why do you want to attend this college? Today I wanted to focus on the second college application question that is perplexing Mike’s daughter: What is your intended college major? This question is also difficult. My daughter really does not know what she wants to do. She now is putting down pre-med on her applications. But she is largely undecided. How do you answer this question for the colleges? I expect just saying I am picking this major because you require me to pick something will not get her any brownie points. If your daughter doesn’t know what major she wants, then state undecided. I think it’s a mistake to answer this question by wondering what the college is looking for. If your daughter doesn’t know — and why in the world should she at this age — she should state undeclared. Checking the undecided box should not be a problem at the liberal arts colleges on her list. Many universities (as opposed to colleges), however, often do require that applicants pick a school within the institution such as the school of engineering, business or arts & sciences. Sometimes you can enter a school of engineering or business, for example, without declaring a specific major, but other times you can’t. It’s important to understand what the rules are at individual institutions before finalizing a list. California Polytechnic State University in San Luis Obispo, for instance, requires that their teenager applicants know what major they want to study when they apply. At Cal Poly, it’s not good enough for a teenager to say she wants to major in engineering. Applicants must go a step farther and declare what engineering major they want to pursue. It’s tough luck if the kid doesn’t know if he wants to be a civil, architectural, biomedical, electrical or mechanical engineer. Switching some majors at this school can be extremely hard, if not impossible. Declaring a major can also be a necessity at state universities that are overcrowded and underfunded. This can result in impacted academic programs. When this occurs the number of students wanting a particular major exceeds the number of slots. This is a common phenomenon for popular majors among the campuses in the University of California and California State University systems. Common impacted majors at UC campuses include engineering and biological sciences. At some Cal State campuses (San Diego State, Cal Poly San Luis Obispo, San Jose State, Cal State Fullerton, Cal State Long Beach) every single academic major is impacted. A student who applies for a particular major might be accepted to a school but denied the ability to study what he/she wants. Obviously before applying to a school, determine whether you would have difficulty majoring in disciplines that interest you or switching majors. This by the way, this isn’t just a state university phenomenon. 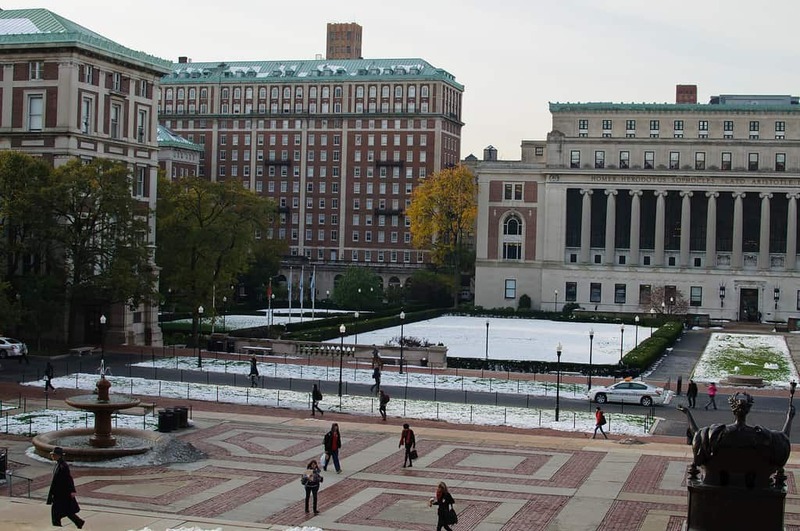 During a visit to Columbia University this summer, I was amazed when the tour guide, who was a senior, told us that he originally had declared engineering as his major, but while at Columbia he fell in love with psychology. He couldn’t, however, just switch his major. The tour guide said he had to essentially apply to Columbia all over again including providing references. That just blew my mind. Lynn O’Shaughnessy is the author of second edition of The College Solution: A Guide for Everyone Looking for the Right School at the Right Price. Columbia University image courtesy of Flickr user in SapphoWeTrust.